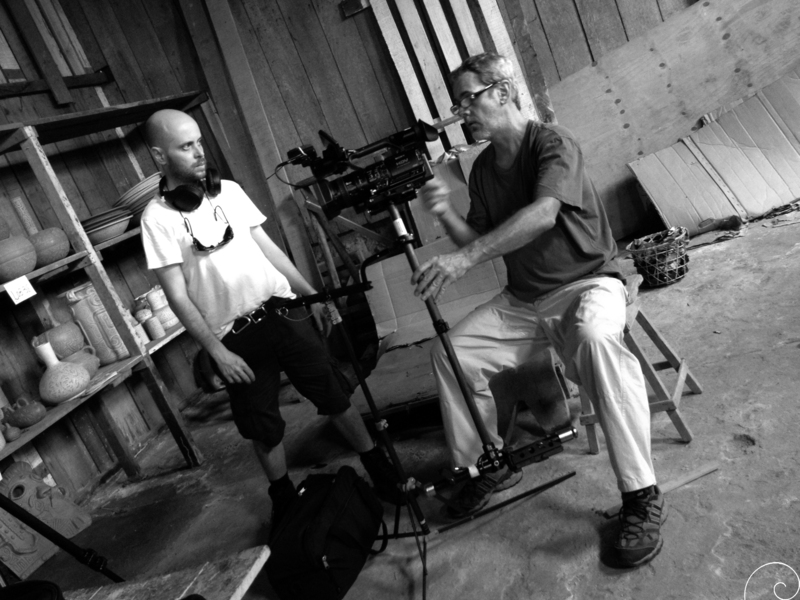 In the picture, me and Luiz Bargmann, a friend from many trips and documentaries. I invited him to join our team on the second trip to Pará, in September and October 2013. 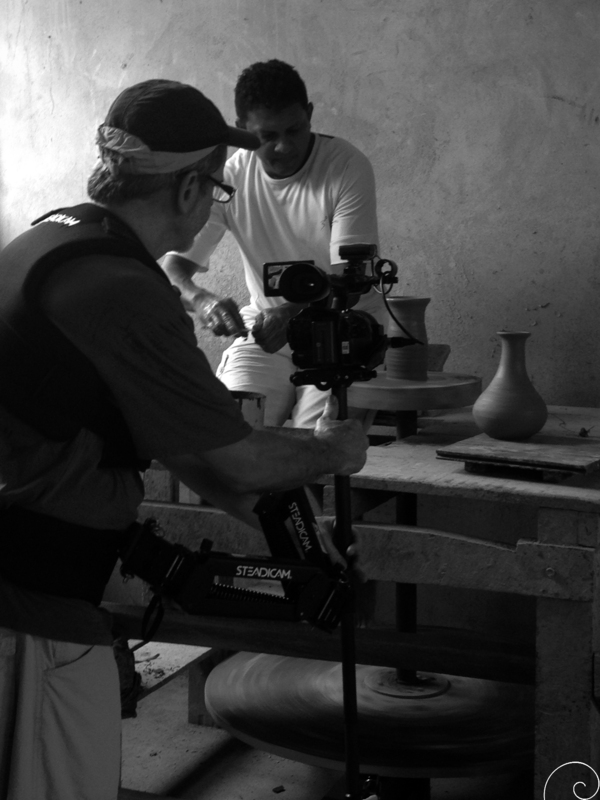 While we balanced the camera stabilizer, we talked about our movements to record the work of the artisan potters in Marivaldo’s workshop, in Icoaraci. Text: Silvio Luiz Cordeiro. Images: Wagner Souza e Silva, Cristina Demartini.